Today, incomparable enigma Secy Pig stream the entirety of their highly anticipated new mini-album, Crooked Backs, at heavily trafficked web-portal InvisibleOranges.com. Set for international release on May 15th via Nuclear War Now! Productions, hear Secy Pig’s Crooked Backs in its entirety exclusively at THIS LOCATION. With their two previous mini-albums, Sect Pig established an unorthodox and decidedly unique sound and aesthetic. On Crooked Backs, the band’s third mini-album, Sect Pig intensifies their approach. Violent and repetitious, frenzied and hallucinatory, Sect Pig’s sound on this mini-album is disorienting and extreme. Precision guitar attacks and tumultuous percussive abuse characterize the band’s instrumental approach. Sect Pig utilize delay and other effects with intention, augmenting the tracks to add dimension and foster confusion. Crooked Backs displays a greater degree of compositional nuance than its predecessors, with unanticipated riffs, temporal shifts, and eccentric effects and sounds embedded within the tracks. The strange confluence of elements is emphasized as disparate due to the fact that the band consists of a conglomerate of unknown international members whose identities remain shrouded in misguided speculation. But perhaps the most salient aspect of Sect Pig’s music are the human voices, which assume a prominent role, both in the form of the heinous barrage of vocals and the intermittent use of narrative samples between the songs. The vocals are contorted and wretched; they are barked, snorted, and snarled. Like the previous Sect Pig releases, Crooked Backs is thematically tethered to a particular subject, framed by the use of voice samples that shape the psychological experience of the listener. Crooked Backs is an anti-meditation on eugenics, on man’s efforts to selectively breed the best human specimens and eradicate the diseased and feeble minded. Whereas genocide has long been universally condemned, more subtle and pernicious ways of modifying the gene pool persisted. Though many believe that forced sterilization is a practice confined to the distant past, in the United States, it occurred until the early 1980s. Sterilization was accepted a way of ensuring that individuals whose minds were mentally deficient or criminally inclined, or whose bodies were physically mangled and misshapen, were precluded from corrupting the genetic trajectory of the human race. 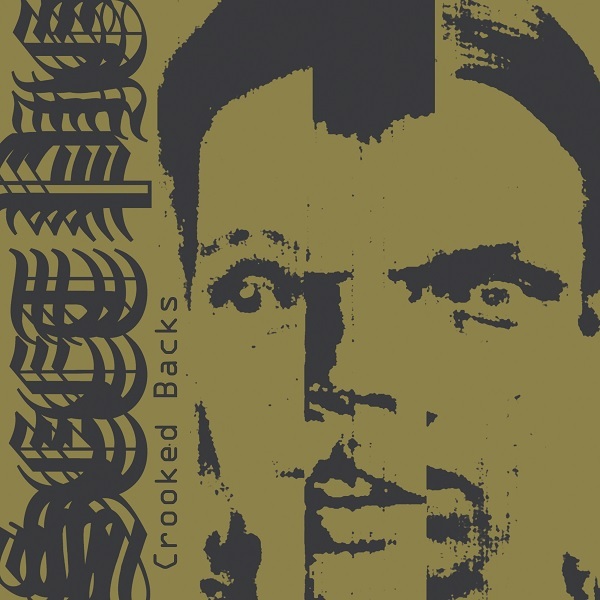 Crooked Backs is the most cohesive of the three Sect Pig mini-albums, but it also draws together the band’s entire body of work and confirms patterns in the band’s approach, with each record clocking in at under 20 minutes and featuring similarly stylized two-tone artwork. Feel the entirety of its dizzying, hallucinatory force exclusively at THIS LOCATION, courtesy of InvisibleOranges.com. Press release provided by Nuclear War Now! Productions.